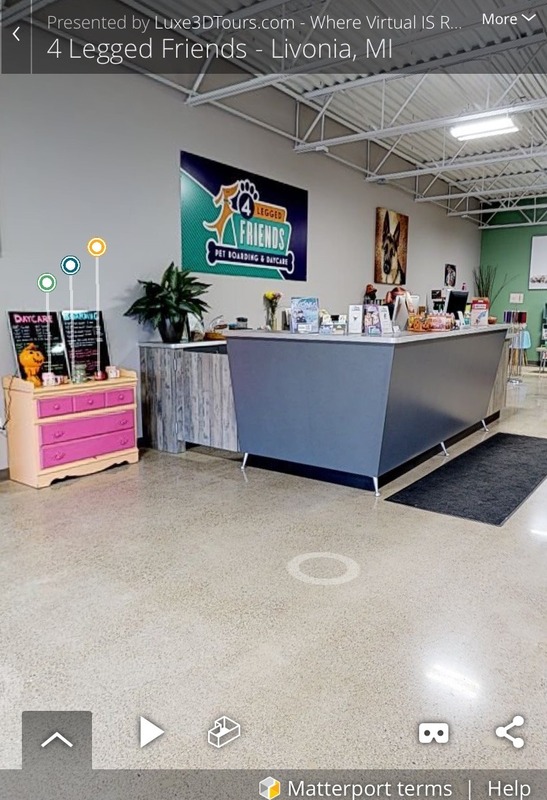 Click on the link above to experience a virtual tour of our entire facility. This allows clients to ‘walk through’ our daycare and boarding rooms without disrupting and upsetting our guests. 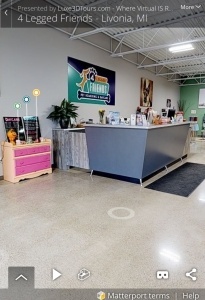 As you can see, we are happy to give you a firsthand view of all areas pets occupy while in our care.